Don't forget to invite the mothers of the happy couple to the bachelorette party. These ladies can party like it's 1989! 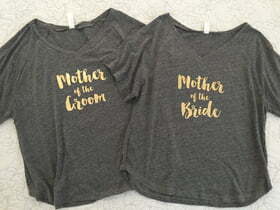 Mother of the Bride and Mother of the Groom tees in a comfy V-neck style.